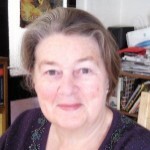 Joan gained AGI credentials in 2003, having become involved in professional genealogical research in the late 1990s. She is author of St. Anne’s: the Story of a Guinness Estate (2002, Dublin), tracing the history of the former house, demesne and gardens owned by the famous Dublin Guinness brewing family. In 1998, Joan received a Diploma in Local History from the National University of Ireland, Maynooth. Read more about Joan here. Máire began her career as a professional genealogist in the 1960s attached to the Genealogical Office, then based in Dublin Castle. She teaches regular Adult Education courses in family history. Along with her AGI colleague Paul Gorry, she is author of Tracing Irish Ancestors, published by HarperCollins in 1997. 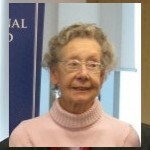 She has served on both the Irish Manuscripts Commission and the National Archives Advisory Council. 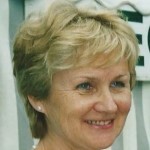 Máire was elected a Fellow of the IGRS in 2005. Read more about Máire here. Steven specialises in probate research for the legal profession. Alongside his brother Kit, he runs the firm of Massey & King, established in 1993. Published in 2009, he is author of Dictionary of Dublin Dissent – Dublin’s Protestant Dissenting Meeting Houses 1660-1920. First broadcast in 2012, he featured in “Dead Money”, a series shown on Ireland’s main TV channel, RTE, based exclusively on research undertaken by his firm. 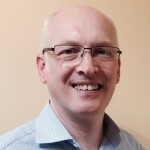 Steven, a Fellow of the Irish Genealogical Research Society since 2007, is currently its chairman. Read more about Steven here. 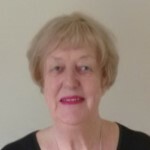 Helen has been involved in genealogy and tourism since the 1980s. She holds both an Extra-mural certificate in genealogy from University College Dublin (1992), and a diploma in Local History from the National University of Ireland (1998). She is particularly interested in the descendants of emigrants from counties of Westmeath and Longford who settled in Argentina. Since 2000 she has delivered lectures to various tour groups to Ireland and has also broadcast on radio and television in Ireland and the United States. Read more about Helen here. Paul began his career in genealogy in 1980, initially attached to the Genealogical Office. 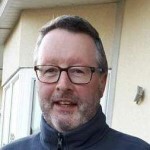 He is a founder member of Accredited Genealogists Ireland. With his AGI colleague, Máire Mac Conghail, he is joint-author of Tracing Irish Ancestors, (HarperCollins, 1997). He is also author of Baltinglass Chronicles, 1851-2001, (2006), and Seven Signatories: Tracing the Family Histories of the Men Who Signed the Proclamation, published (2016). He was the founder of the Irish Genealogical Congress, held in 1991, 1994, 1997 and 2001. Read more about Paul here. Pamela’s background is in sociology, studied at Trinity College, Dublin. Though now retired, she began practice as a genealogist in the 1980s. She served as AGI’s Hon. Secretary from 1992 to 1994, and as President from 2004 to 2006. Pamela was on the panel which ran the Genealogical Office’s (later National Library’s) Genealogy Advisory Service and organised AGI’s genealogy help desk at the Irish Genealogical Congress, 1991, 1994, 1997 and 2001. She researched for the BBC series ‘Who Do You Think You Are?’. Read more about Pamela here. The late Harry McDowell was a London-based publisher before returning to Ireland in the 1960s as a genealogist. He was a founding member of AGI. He served on the editorial committee of the IGRS’ annual journal, The Irish Genealogist, and in 1989 was elected an IGRS Fellow. He was author (2015) of Irregular Marriages in Dublin Before 1837; and (2016) of Directory to the Gentlemen’s Seats in Ireland, originally compiled by Ambrose Leet in 1814. Read more about Harry here. 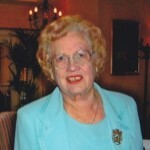 The late Eileen O’Byrne was one of Ireland’s most distinguished genealogists, highly regarded by her peers. In its heyday, she was an active committee member of the Dublin Historical Association. She was a longstanding member of the Irish Genealogical Research Society, elected a Fellow in 2005. 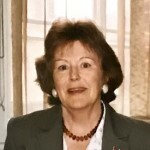 Her published work include contributing to Irish Genealogy: A Record Finder (1981), a landmark book which influenced later writing on the subject, and edited the Convert Rolls (Irish Manuscripts Commission, 1981). Read more about Eileen here. The late Eilish Ellis, a fellow of the IGRS since 1997, retired as the Genealogical Office’s (GO) in-house researcher in her early 80s. She was mentor to many of today’s practitioners; generously giving encouragement and guidance to both novices and seasoned professionals. Around 1950 Eilish worked with Robert C. Simington (1885-1976) cataloging the Quit Rent Office records. In the mid-1950s she joined the small panel of genealogists attached to the GO, then still located in Dublin Castle. Read more about Eilish here. 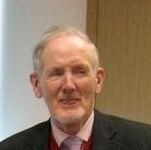 The late Muirín O’Briain played a prominent part in the Irish Genealogical Congress, 1997 to 2001. As secretary of the IGRS’ Ireland Branch she was key in creating the now annual IGRS genealogy Open Day. She joined AGI in 1995 and became its Vice-President in 2007. A granddaughter of Cathal Brugha, a patriot of the 1916 Easter Rising, Muirín enjoyed telling how he was born Charles Burgess, from a prominent Dublin Protestant mercantile family with strong unionist leanings. Read more about Muirin here. 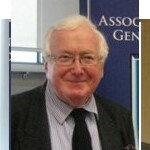 When AGI was founded in 1986 the late John McCabe was the most senior Belfast-based genealogist. He specialised in Ulster ancestry. Unearthing hidden genealogical sources was the trademark of John’s career. His biggest find was discovered among other papers in the late 1980s at the UK’s National Archives. It detailed some 700 mainly Irish settler families in the Ottawa Valley of Canada by 1829. It was subsequently published in the Ontario Genealogical Society’s journal, Families, as ‘The McCabe List’. Read more about John here.